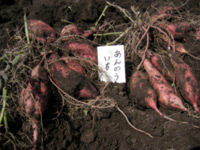 NOZAKI-Farm : Bringing Kagoshima Top-Grade Japanese Black "Nozaki-gyu" to the World. Ship after 18 months of fattening to increase the product turnover rate. Increase the productivity per person. Each person must uniformly manage 400 head of cattle to achieve sales of ¥300 million per person. Our goal is to always be fattening 10,000 head of cattle. Machinery and other measures are employed to perform redundant and complex work to thoroughly rationalize operations. The time this frees up is used to care for the cattle. 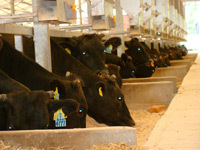 Example: Using an automatic feed dispenser, outsourcing changing of the bedding material, etc. Twice a year Nozaki holds an in-house event we call the Nozaki-gyu Competition. It is only at this time that the farm staff, tenders, and others become rivals and compete for victory. The competitors are all anxious to see how well the cattle they have raised will do. They are keen to see how far they lag behind the top scoring tenders. This improves the skill level of all the tenders at Nozaki-gyu. The Nozaki Competition has the interest of the livestock industry throughout Japan! 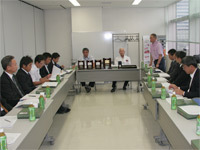 Livestock industry trade publications report on the goings on and results of the Nozaki Competition held in-house by Nozaki. The award-winning cattle bear the names of their tenders and people related to the livestock industry nationwide are interested in the competition. 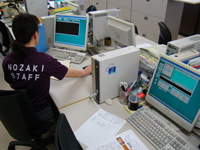 The office uses several computers to input the information for individual calves when they arrive at the farm. Each tender also enters management information, such as the day’s treatment record and feeding record to establish traceability. These are also used to analyze shipping data to search for the next good-quality cattle. 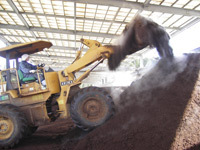 The largest compost processing facilities in Japan have been built on our two farms to produce good-quality compost. 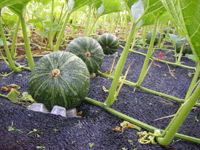 The organic compost these produce is used to fertilize sugarcane, potatoes, ginger, and other vegetables on the southern Tokunoshima Island with the cooperation of the local Japan Agricultural Coop and other related organizations. 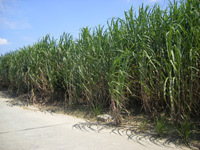 The leaves generated from harvesting the sugarcane are used as feed for the breeding cows, the calves of which are fattened at Nozaki. 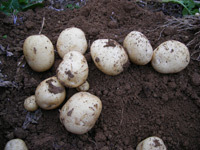 The objective is to achieve sustainable agriculture. 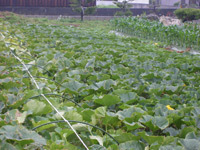 In recent years the compost has also been used as fertilizer for green tea, strawberries, and other produce in Kirishima City, and this has pleased the consumers as well as the farmers raising these crops. This means that you can enjoy both Nozaki-gyu and produce grown using Nozaki organic fertilizer at the same meal. This will be a continuing theme for Nozaki. 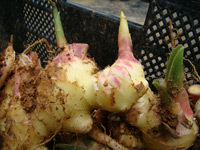 Copyright © 2019 NOZAKI agricultural production cooperative All Rights Reserved.